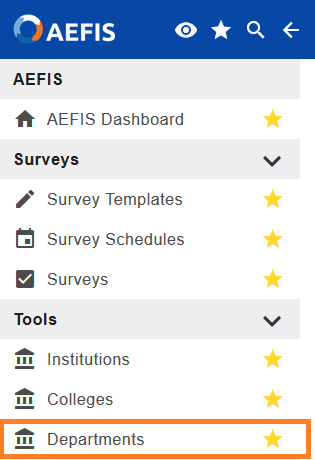 This document describes how to set an academic contact within AEFIS, UW-Madison's digital course evaluation tool. You must be an AEFIS admin in order to set an academic contact. All UW-Madison departments have an academic contact and a technical contact listed in AEFIS. AEFIS will direct faculty questions about departmental course evaluations to the academic contact. Questions about technical problems with AEFIS will be directed to the technical contact. By default, the Learn@UW-Madison service team is listed as both the technical contact and academic contact for each department. AEFIS department admins should update their academic contact information to make sure that faculty questions are routed correctly. For most UW-Madison departments, the AEFIS academic contact should be the department admin. The Available Departments page lists all of the departments for which you are an administrator. 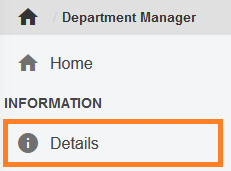 Find your department and select Manage on the right side of the page. Select Details from the left menu panel. Scroll down to contact settings. 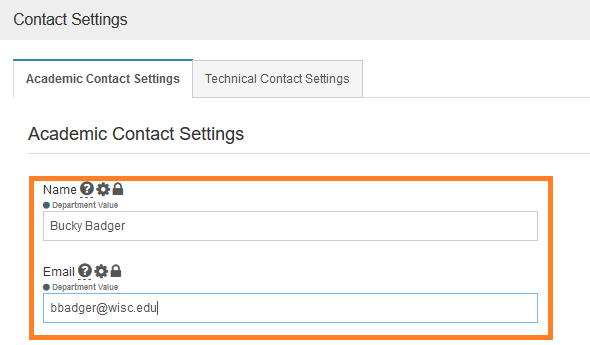 Confirm that the Academic Contact Settings tab is selected. Enter the name and email address of your department or college's Academic Contact.